1. Bandicam now supports the .mp4 container. 4. The "User enhanced capture method (faster, only DirectX 9)" option is unchecked by default. 5. The buffer size in the blocked process list has been doubled. - Reduced an error while calculating the time of video frames. 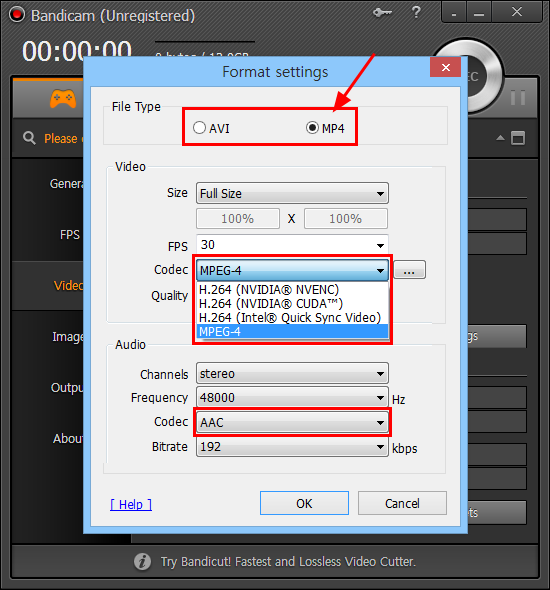 - Failed to use the AMD H.264 encoder if the PC has more than 2 AMD graphics cards. - Recording status could not be displayed well in the 'DirectX/OpenGL mode' mode on some computers. - A logo created by GIMP, a free graphic editing program, couldn't be displayed correctly.